If you want to go to college or university, you have to be able to meet the costs of tuition fees, books and other educational supplies, as well as rent and living costs if you can't continue living at home. Fortunately, loans are available if you don't have the funds to cover all those expenses. Department of Education student loans are provided by the U.S. government for the purposes of study at the school of your choice. Department of Education student loans (loans funded by the federal government) offer students more favorable terms than private loans (loans from a bank, credit union, state agency or school), such as fixed interest rates and income-driven repayment plans options. While repayments aren't due on federal student loans until after graduation, many private lenders may require repayments to begin while you're still in school, although deferral of repayments is sometimes an option. You don't need a credit check to get a federal student loan, but this is a common requirement for a private loan. Overall, federal student loans are less expensive than private loans. The types of federal student loans available are Direct Subsidized Loans, Direct Unsubsidized Loans and Direct PLUS Loans (for graduate and professional students). Parents of students can also take out Direct PLUS Loans. The parents are entirely responsible for the repayment of these loans. Direct Subsidized Loans are available to undergraduate students with financial need. The amount you can borrow is decided by your school, and this amount can't be greater than your financial need. 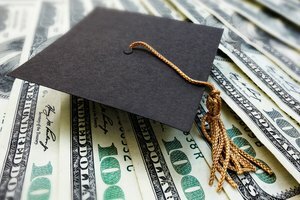 The U.S. Department of Education pays the interest on a Direct Subsidized Loan while you’re in school at least half-time, for the initial six-month period after graduation and during any agreed period of deferment. To get a Direct Unsubsidized Loan, you don’t need to show financial need. 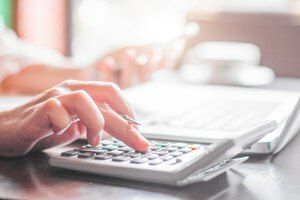 The amount you can borrow is decided by your school, based on what it costs you to attend and taking into account any other financial aid you're in receipt of. Unlike a Direct Subsidized Loan, you're responsible for paying the interest during the entirety of the loan. However, deferment or forbearance is possible with Direct Unsubsidized Loans. If you meet the general eligibility requirements for federal student aid, don't have an adverse credit history and are a graduate or professional student who's enrolled at least half-time at an eligible school, you can apply for a Direct PLUS Loan. A parent can apply for a Direct PLUS Loan on behalf of her child, but the child must meet these requirements. An application for a Direct PLUS Loan involves a credit check, but if you have an adverse credit history, it doesn't necessarily rule out a Direct PLUS Loan; for example, in the case that you obtain an endorser, someone who agrees to repay the loan if you can't. Your first step toward getting any type of U.S. Department of Education student loan is to register for an FSA ID. This is a username/password combination that allows you to access FSA’s online systems. Effectively, it acts as your legal signature and lets you submit forms electronically as well as view and change some of your personal information. Every person has to have his own FSA ID, which means your parent must register for a separate ID if they need to sign your federal student aid application. Once you have your FSA ID, you can complete and submit your FAFSA (Free Application for Federal Student Aid) form electronically (you can also submit it on paper if you'd prefer). The FAFSA form is available to every U.S. student and determines eligibility for students loans, grants and other types of financial aid for college, career school or graduate school. Your FAFSA information is also used to determine your eligibility for state aid, school aid and some private financial aid. To complete the FAFSA form, you need your Social Security number (or your Alien Registration Number if you're not a U.S. citizen) and your federal income tax returns and all records of money earned. If applicable, you may also need bank statements, records of investments and records of untaxed income. If you're a dependent student, you'll also need to provide most of the same information for your parent. To be eligible for a federal student loan, you must be a citizen or eligible noncitizen of the United States, have a valid Social Security number, have a high school diploma or a General Education Development (GED) certificate or have completed homeschooling, and be enrolled in an eligible degree or certificate program. Additionally, you must maintain satisfactory academic progress and not owe a refund on a federal student grant or be in default on a federal student loan. You must also register (or already be registered) with the Selective Service System if you're a male and not currently on active duty in the U.S. Armed Forces. If you have a conviction for the possession or sale of illegal drugs for an offense that occurred while you were receiving federal student aid, you must complete the Student Aid Eligibility Worksheet to establish whether you're eligible (or partially eligible) for aid. 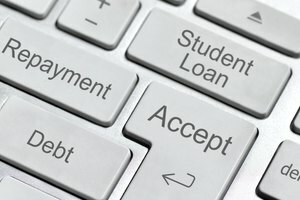 Some types of federal student loans, such as Direct Subsidized Loans, also require there to be an element of financial need. The financial aid office at your school can give you all the information you need about eligibility requirements. The most important document involved in getting a federal student loan is the Master Promissory Note (MPN). This is a legal document in which you promise to repay your loan and any accrued interest and fees to the U.S. Department of Education. It also sets out the terms and conditions of your loan. You can borrow additional Direct Loans on a single MPN for up to 10 years as long as your school doesn't allow more than one loan to be made under the same MPN. You can preview or complete your MPN online via the Federal Student Aid website using your FSA ID. Alternatively, contact your school's financial aid office if you want to submit a paper MPN. After you submit your MPN, and before your loan is disbursed, you'll receive a disclosure statement from the U.S. Department of Education or your school. This is simply a document outlining the terms, conditions, risks and rules of your loan. 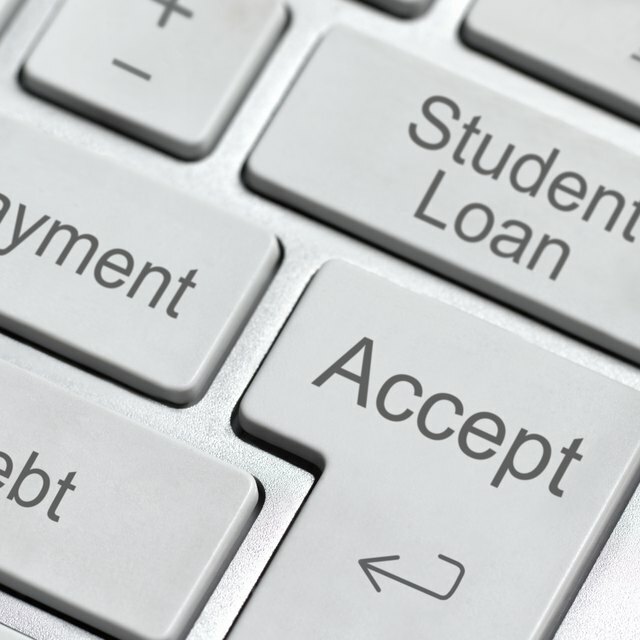 Before you receive your first federal student loan, you must complete entrance counseling. This is to ensure you understand the responsibilities and obligations of your loan. The type of entrance counseling you get depends on the type of federal loan you have. Additionally, your school may have its own entrance counseling requirements. Typically, the counseling process, which must be completed online in a single session, takes no more than 30 minutes. More counseling is required when you graduate, leave school or fall below half-time enrollment. This is called exit counseling, and it equips you with the information you need to repay your federal student loan. Like entrance counseling, exit counseling must be completed online in a single session and takes around 20 to 30 minutes. Another type of counseling, known as financial awareness counseling, isn't mandatory but is available to all students. It's designed to improve understanding of financial aid and help with managing finances. Like all loans, federal student loans must be repaid. When you begin repayments depends on the type of loan. Direct Subsidized Loans and Direct Unsubsidized Loans don't have to be repaid until you leave college or drop below half-time status. However, you must begin making repayments on a Direct PLUS Loan as soon as you've received your entire Department of Education student loan. Your loan repayment schedule from your loan servicer or lender will tell you the date your first payment is due, how many payments you'll make and how often and the amount of each payment. Your loan may have a grace period, which is a specified period of time following graduation (or after you leave school or fall below half-time status) before you have to start repaying your loan. Be aware that not all federal student loans have a grace period, and for the majority of loans, interest accrues during the grace period. If you're struggling to make your Department of Education student loans repayment, you may wish to consider deferment or forbearance. Deferment and forbearance are both ways in which you can temporarily stop making loan repayments. The main difference between them is that you may not be responsible for paying the interest that accrues on certain types of loans during a period of deferment, but you're always responsible for paying accrued interest during forbearance. To be eligible for a deferment, you must be enrolled at least half-time at an eligible college or career school. If you received a Direct PLUS Loan or FFEL PLUS Loan as a graduate or professional student, you must have ceased to be enrolled (at least half-time) no more than six months ago. You may also be eligible while you're enrolled in an approved graduate fellowship program or an approved rehabilitation training program for the disabled while you're unemployed or unable to find full-time employment, for up to three years, while you're experiencing economic hardship or serving in the Peace Corps, for up to three years, or while you're on active duty military service in connection with a war, military operation or national emergency. There are two types of forbearance: general and mandatory. General forbearance is also known as a "discretionary forbearance" because it's up to your loan servicer whether to grant this or not. You may ask for a general forbearance if you're temporarily unable to make your scheduled monthly loan payments due to financial difficulties, medical expenses or a change in employment. Other reasons may be acceptable to your loan servicer. If you meet the requirements for mandatory forbearance, your loan servicer is required to grant it. Eligibility requirements include serving in a medical or dental internship or residency program and meeting specific requirements, serving in an AmeriCorps position for which you received a national service award, performing teaching service that would qualify you for teacher loan forgiveness or being a member of the National Guard and having been activated by a governor (but not being eligible for a military deferment). 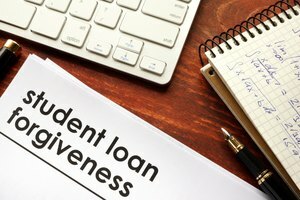 If the total amount you owe each month for all the student loans you received is 20 percent or more of your total monthly gross income, you may also be eligible for a mandatory forbearance. Gillespie, Claire. "What Are Department of Education Student Loans?" Synonym, https://classroom.synonym.com/what-are-department-of-education-student-loans-13714936.html. 27 September 2018.